Great vulnerability is often part and parcel of great artistry. The songs that last decades and weave themselves into the fabric of listeners’ lives are usually the ones in which an artist lays her soul bare for the world to hear. Nora Jane Struthers’ new album Champion is built on these kinds of songs. 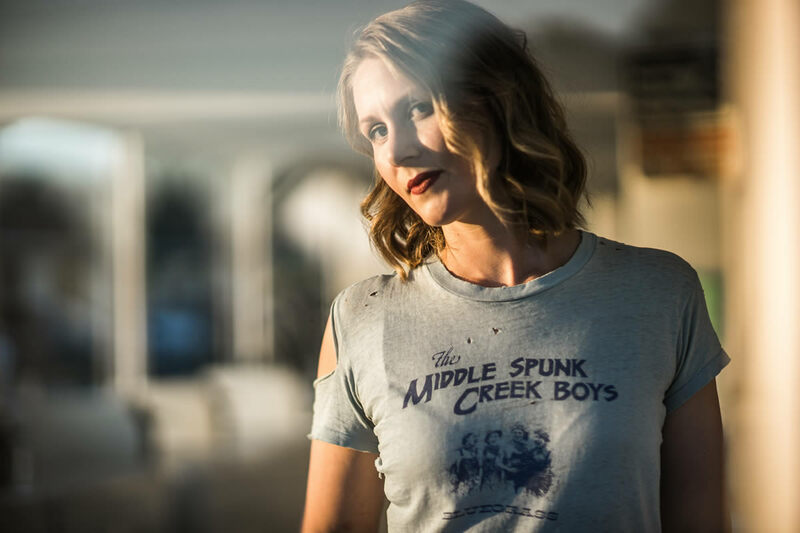 The 13-song collection is the follow-up to 2015’s Wake, which earned Struthers acclaim from major outlets like NPR Music, Rolling Stone Country, and “Fresh Air.” Struthers wrote and recorded the album with her longtime road band the Party Line, and the chemistry between her and the other players is palpable. The album, produced by Neilson Hubbard in Nashville, is full to the brim with stellar musicianship, unexpected arrangements that blur the lines between folk, roots, and rock, and an audible sense that everyone in the studio is having a damn good time. Where Wake explored themes like new love and new beginnings, Champion finds Struthers documenting the trials and tribulations of adult life; decrying the increasingly intrusive nature of technology; and plainly laying out the struggles faced by a young woman grappling with infertility. That quest has led Struthers and her husband — musician and songwriter Joe Overton — down many new paths: trying alternative fertility methods, exploring Eastern medicine, and finding new strength in the support system of their partnership. It also led Struthers to see the other parents in her life — friends, relatives, fans — in a new light, an eye-opening experience also reflected on Champion. While opening up about such a painful personal journey hasn’t been an easy task for Struthers, she’s happy to have put these experiences to song, in doing so finding her own personal catharsis and hoping that others will experience the same sense of connection and release upon listening. The first track that Struthers wrote for what would become Champion drew heavily from the experiences of others. “Wonderful Home” is a hopeful closing note to the record, though the subject matter that inspired the lyrics was initially painful and difficult. By the time Struthers and her band entered the studio to record “Wonderful Home,” her friends had tragically lost the first baby, but were happily seven months into a second, healthy, pregnancy. The song became something of an anthem for Struthers, enabling her to move forward with telling her own difficult story. “The arc of that particular song is the arc I hope my own fertility journey takes,” she adds. There are many hopeful moments on the album. Standout track “Belief” is a nuanced look at the difficulties of staying optimistic in the face of setbacks, illustrating both the fragility and the resiliency of hope. The track builds from Struthers singing over a lone acoustic guitar to a harmony-drenched anthem, mirroring the song’s message of hope and redemption. While her journey in trying to start a family takes center stage in many on Champion, it’s far from the only topic to which Struthers lends her thoughtful eye and singular voice. On opening song “Each Season,” she and Overton explore the strange, wonderful bond experienced in long-term relationships, the story told over crunchy guitars and gently rolling banjo. That tune is one of only two co-writes on the album, as Champion is, through and through, a showcase of Struthers’ voice and preternatural gift for storytelling. Coupled with a more deeply realized sense of vulnerability, that narrative tendency makes for a collection of stories that should resonate long after the last notes of the last track end.